The changes are documented on GitHub. The release is available on SourceForge: https://sourceforge.net/projects/mcuoneclipse/files/PEx%20Components/. See “McuOnEclipse Releases on SourceForge” how to install the update. 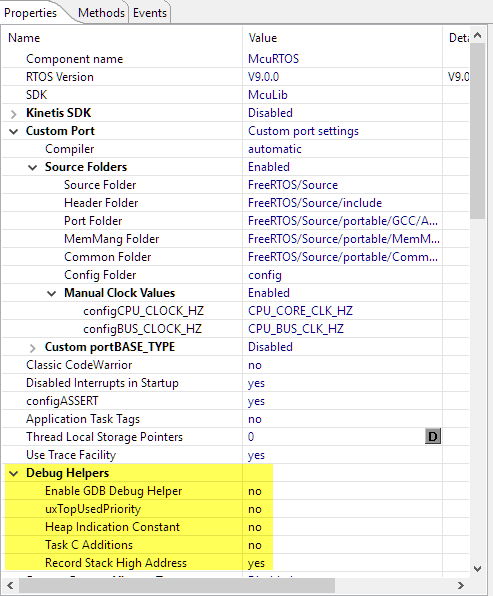 If you are not using Processor Expert: the components are available in normal source form on https://github.com/ErichStyger/McuOnEclipseLibrary. I hope you find the new release useful. This entry was posted in ARM, CodeWarrior, ColdFire, Component Release, Cortex, CPU's, Debugging, DSC, Eclipse, Embedded, Embedded Components, FreeRTOS, Freescale, HCS08, I2C, KDS, Kinetis, LPC, LPC, MCUXpresso, MCUXpresso IDE, NXP, Processor Expert, S12, S12X, SDK, SourceForge and tagged CodeWarrior, Debugging, Eclipse, Embedded Component, FreeRTOS, Freescale, NXP, open source projects, Processor Expert, software, software project, technology, Tips&Tricks by Erich Styger. Bookmark the permalink. 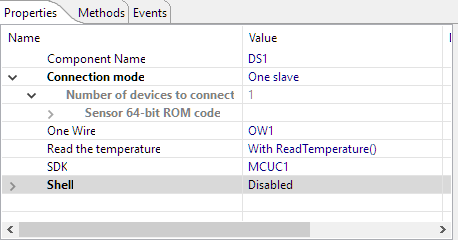 It should not be wrong, because it is initialized above with Data.DQDeviceDataPtr = DQ1_Init(NULL);. Just a few extra note: because the component uses LDD components, only Kinetis is supported right now (I plan to change this in the future). The other thing is that the published component does not use templates for the timer and GPIO pin: you have to enabel methods like putting the pin in input mode. I’ll have a look and post an update. Seems the .inc file is somehow out of sync. 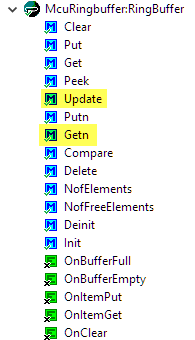 Open the Drivers\Common\OneWireSettings.Inc and remove the offending lines (or make the file empty). 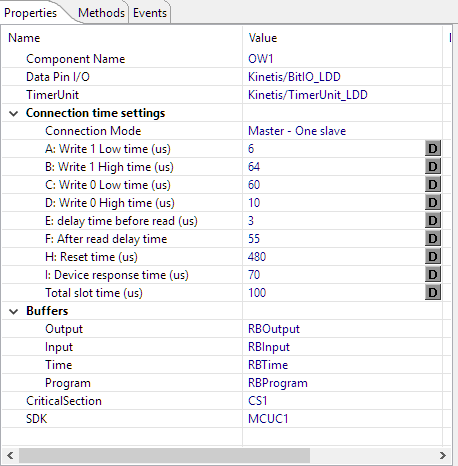 I’m in the process to replace the BitIO_LDD with a normal BitIO and timer component, so it works with the SDK. Should I post a that new version for you? I ask because with that new version you would have to configure the timer and pin again. Thanks for your quick reply. Sure , it is appreciated to get a new version. It is easy to configure the timer and pin . The DS1.c code need revise . When DS1_CONFIG_MULTIPLE_DEVICES enabled , got the following error. Thanks, I have to look into this. I only have used it with one sensor (yet), but ordered more to test with. 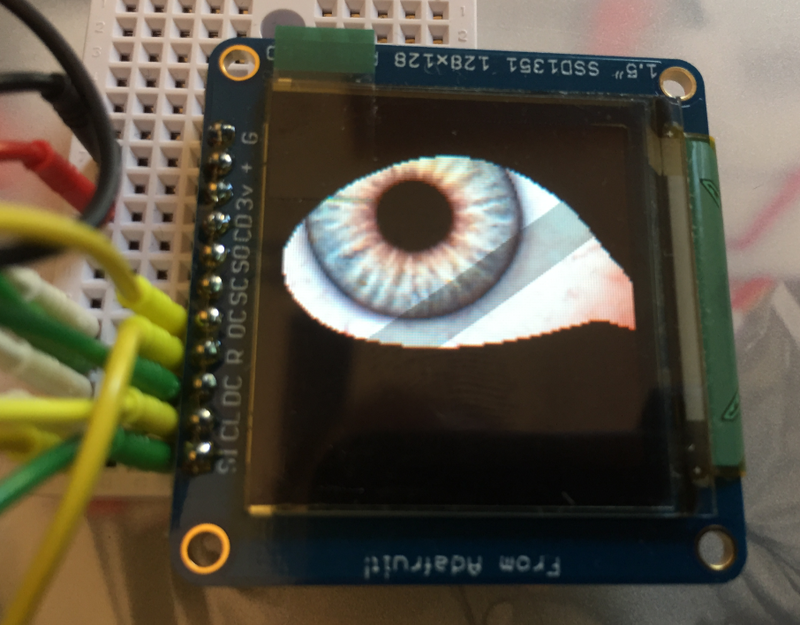 I have uploaded new DS12B20 and OneWire components on https://sourceforge.net/projects/mcuoneclipse/files/PEx%20Components/. it is still work in progress! 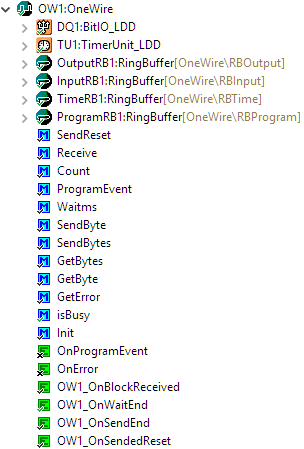 By the way , do you have a plan to add search rom function into the onewire lib? Yes, but not sure when I get to that point. 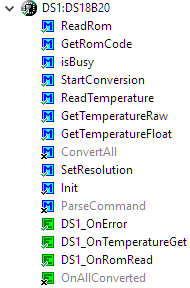 First I’ll refactor the OneWire so it uses non-LDD component (is in progress) and two issues you have reported. Unless you want to contribute an implementation? I am porting it to Kea . Great job! I will try it when I got time. I need to interface MK60FX512VLQ12 processor from NXP with AD7194 ADC from ADI. AD7194 is a 24 bit ADC and has on chip SPI registers with 8 bits and 24 bits word length. How should I make use of PE components to communicate with AD7194? To my knowledge PE supports only registers having max 16 bits word length in SPI Slave. 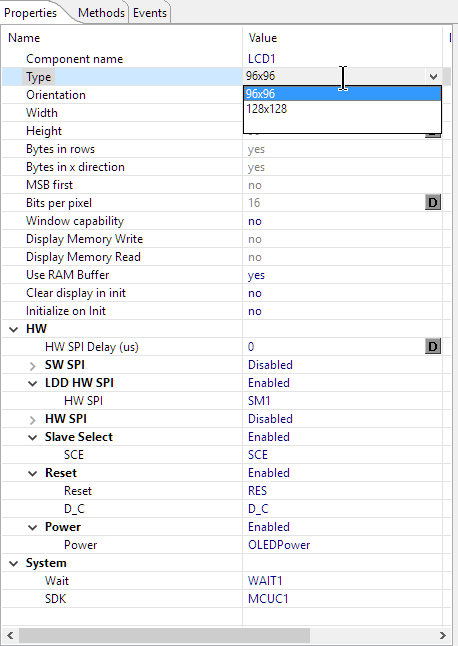 How can I give commands with 8 bits and 24 bits with the same SPI Component (SynchroMaster or SPIMaster_LDD) ? Processor Expert SPI (e.g. 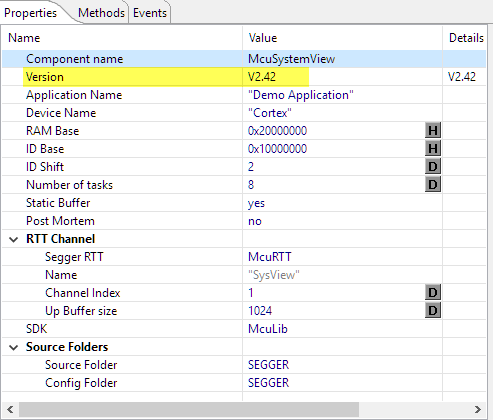 SynchroSerial) supports any number of bytes. Use the RecvBlock() or SendBlock() method in the SynchroSerial componnt to send or receive any numbers of bytes. 1) I have set basic width as 8 bits and using SendBlock() function to send 24 bits as a block of 3 bytes. But SCLK is generated for only 2 bytes in SendBlock(). 2) Also, RecvBlock() doesn’t generate any SCLK from K60. I believe RecvBlock() should generate the required SCLK for the Slave to send the data. 1) You have to pass the number of bytes you want to send as second parameter to SendBlock(), I think you have probaly a programming error there. Are you sure you pass the correct number of bytes? 2) SPI is a bi-directional shift register operation. You have first to send something to receive something. ReceiveBlock() does not clock anything, you have to use SendBlock() first. 1) It was no programming error. SendBlock() generates SCLK for only max 2 bytes if Slave Select Pin is enabled in SynchroMaster. This was solved by removing Slave Select Pin from SynchroMaster and by separately toggling the CS pin which was added as a BitIO component.By doing so any no. of bytes can be sent. Although I really didn’t understand the issue when Slave Select Pin is added. 2) Thank you for correcting my concept regarding RecvBlock(). Now I am sending dummy SendBlock() after the actual SendBlock() for receiving data from SPI. But still the RecvBlock() returns data value of 0 and there is no activity on the SDO line as seen on the CRO. 1) interesting! I never have used Slave Select Pin toggling (this only makes sense if you have one slave on the bus, but if I have one slave, I don’t need that chip select). 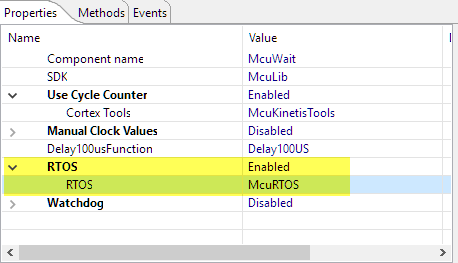 2) ReceiveBlock() uses a buffer which has ben filled during the SendBlock() operation, so you won’t see any SCLK activity during ReceiveBlock(), as it only uses the content in RAM of the buffer. What is the buffer size you have specified in the component? Make it large enough so it can hold all bytes (say 32 or 64 is a typical setting). Hi Erich. Finally solved the problem. It was a hardware issue. Needed to pull-up the SDO line. After that I could capture the data sent on SDO line using a CRO. The same also reflected in the data returned by RecvBlock(). Once again thank you for the prompt reply and support from your end. Please do look into the issue of not able to send more than 2 bytes if Slave Select Pin is enabled in SynchroMaster component. That will be a very useful addition for the tool as such. Thank you !! !